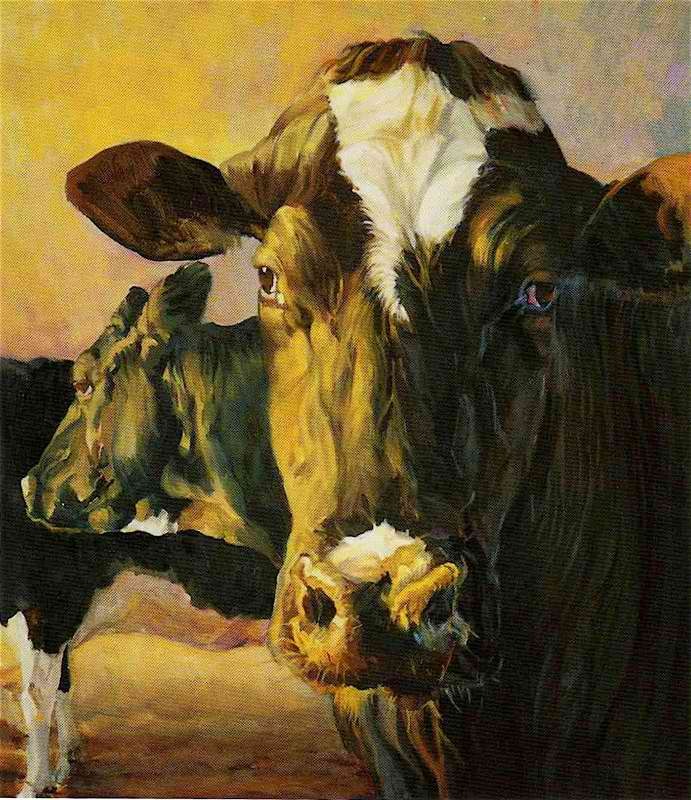 Everything Is Art: Painting of the Day: "A Golden Interlude"
I really like animals, and I feel cows are a really important part of humans' life, whether they know it or not. We drink milk, eat cheese, have beef. All these produce come from cows. And they look really cute and most are really gentle. Thus, a painting (Diane Weiner has done a series of them...) seems like a really good way to showcase the best side of them. The warm glow of the sun, accentuated by the shadows on her face. Plus, I like the subtle hues of pink and lilac on the background.